Neuroevolution is the name given to a field of computer science that applies evolutionary computation for evolving some aspects of neural networks. After the AI Winter came to an end, neural networks reemerged to solve a great variety of problems. However, their usage requires designing their topology, a decision with a potentially high impact on performance. Whereas many works have tried to suggest rules-of-thumb for designing topologies, the truth is that there are not analytic procedures for determining the optimal one for a given problem, and trial-and-error is often used instead. Neuroevolution arose almost 3 decades ago, with some works focusing on the evolutionary design of the topology and most works describing techniques for learning connection weights. Since then, evolutionary computation has been proved to be a convenient approach for determining the topology and weights of neural networks, and neuroevolution has been applied to a great variety of fields. However, for more than 2 decades neuroevolution has mainly focused on simple artificial neural networks models, far from today’s deep learning standards. This is insufficient for determining good architectures for modern networks extensively used nowadays, which involve multiple hidden layers, recurrent cells, etc. 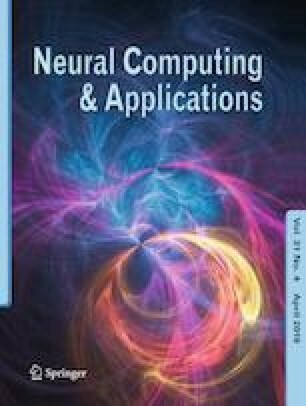 More importantly, deep and convolutional neural networks have become a de facto standard in representation learning for solving many different problems, and neuroevolution has only focused in this kind of networks in very recent years, with many works being presented in 2017 onward. In this paper, we review the field of neuroevolution during the last 3 decades. We will put the focus on very recent works on the evolution of deep and convolutional neural networks, which is a new but growing field of study. To the best of our knowledge, this is the best survey reviewing the literature in this field, and we have described the features of each work as well as their performance on well-known databases when available. This work aims to provide a complete reference of all works related to neuroevolution of convolutional neural networks up to the date. Finally, we will provide some future directions for the advancement of this research area. This research is partially supported by the Spanish Ministry of Education, Culture and Sports under FPU fellowship with grant number FPU13/03917.